5001383 Features: -Capacity: 14 Ounces. -Microwave and dishwasher safe. -Art-wrapped exterior and full-color icon inside. -Includes coordinating gift box.-Designer: Warren Kimble. Product Type: -Coffee mug. Color: -Multi-colored.Material: -Ceramic. Style: -Contemporary. Pattern: -Novelty. 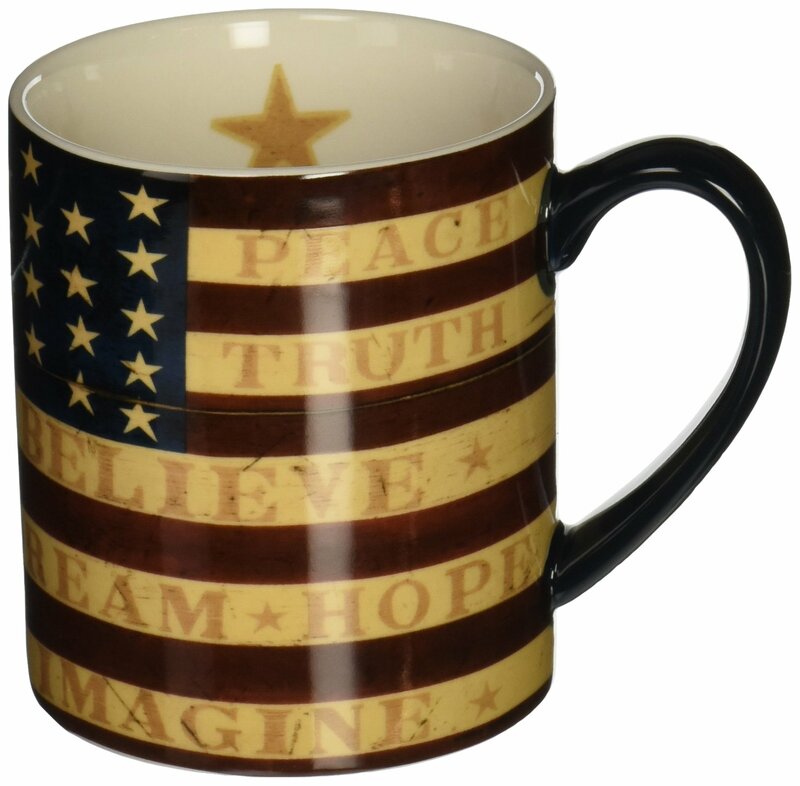 Dimensions: -Boxdimensions: 4.37" H x 5.62" W x 3.75" D. Cup/Mug Height - Top to Bottom:-5.5". Cup/Mug Width - Side to Side: -4.5". Cup/Mug Depth - Front to Back:-3.75". Overall Product Weight: -0.92 lbs.